We were provided with a complimentary copy on behalf of Disney. The countdown began last week on the Disney Channel as my kids anticipated the first showing of Disney’s Teen Beach Movie. We first started getting prepared for the summer excitement with a fun beach themed pre-party. Then the ticker on the screen counted down the minutes until the kids screamed with excitement when the opening song played. Disney’s Teen Beach Movie was a smashing hit in my home even before the kids saw it for the first time. All of my kids, even my six year old boy, loved every moment of the film. It was full of upbeat music, kids laughing, and great acting. The movie had an upbeat feel that was the pure essence of summer for kids across the nation. The fun did not stop that night when the film debuted on the Disney Channel, but continued with the singalong the following week, and now the upcoming release of the film on DVD. 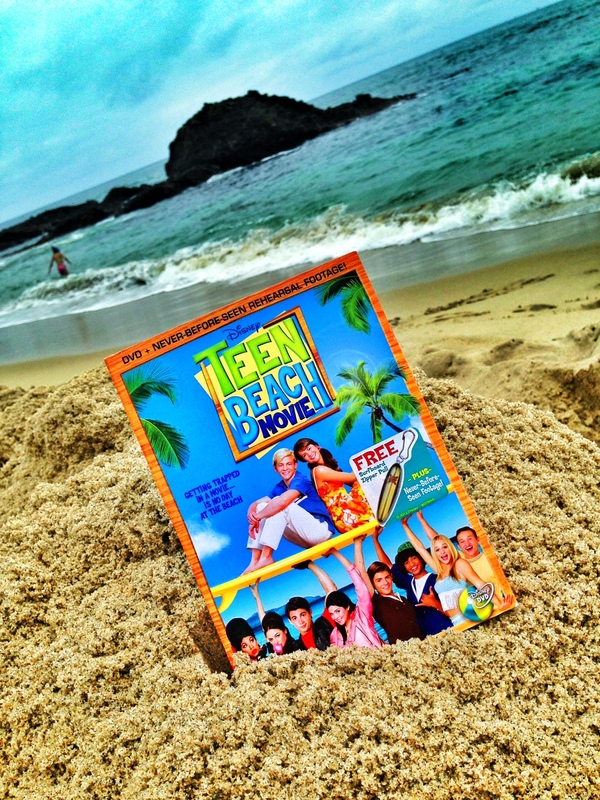 Teen Beach Movie will be released to the public to DVD on July 30th. Ever since seeing the film, my kids flock to the beach to reenact the different scenes in the movie. The have been dancing and singing along the Orange County beaches creating their own version of Teen Beach Movie. The entire movie has inspired them to be more creative and musical during our long summer days. 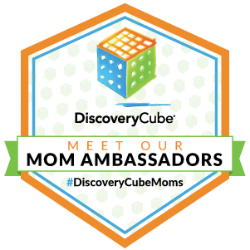 Here is a fun clip for you to enjoy! Teen Beach Movie will be released to DVD on July 30th. Win it! 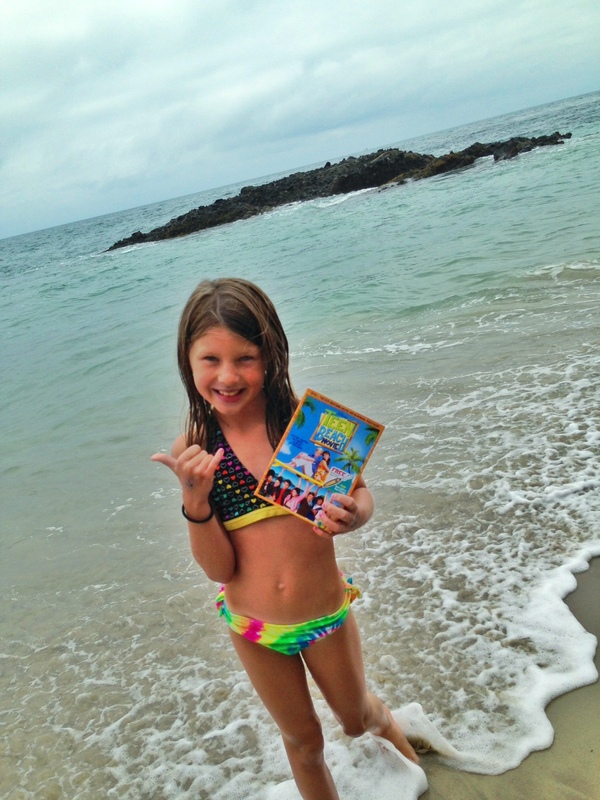 We are excited to offer one OC Mom Blog reader a DVD of Teen Beach Movie! Playing hide and seek at night is my favorite summer time memory! Favorite summer memories are days spent at the Jersey shore. Favorite Summer Memories Are Family Vacations! Playing night games in the neighborhood! We used to stay out until 11:00 or 12:00. That was so fun. sad you cant do that kind of stuff anymore. My favorite summer memory is going to Long Beach Island, NJ with my family. I loved going to the lake with my family in the summer. We would get up early and swim all day. Then we would go to the local arcade for games and ice cream. Various summer vacations with my family. Going to the WI Dells Waterparks together. Going to visit my grandparents in Northern Minnesota and spending time on their lake. The days spent at the pool swimming all day long. Watching my grandson compete in his Little League All Star tournament. The summer my husband and I drove cross country. My fave summer memory is working in tobacco with my dad and sister.